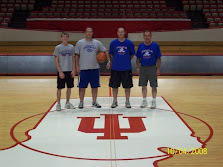 As a family, we enjoy learning about the area's rich basketball history through those who have played, coached, or been close to the game. This blog is dedicated to introduce basketball fans to the hidden gems that we have found through our trips, conversations, and experiences. We hope you enjoy. 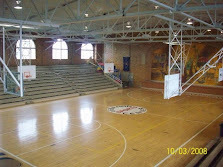 When entering through the doors to your school’s gymnasium, grabbing a game program and taking a seat in your favorite spot, you generally don’t ask yourself, “who built this gym?” or “why was the gym designed this way?” If you have been in more than a handful of the tri-state area gyms, you will probably agree that they have their similarities and differences. 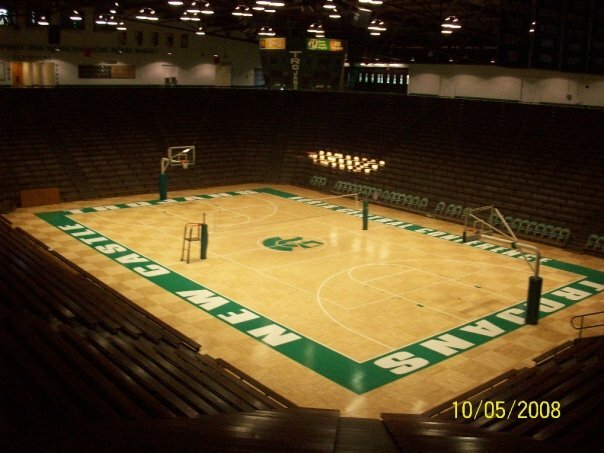 But there is one style of gym that is so unique, its design belongs to only a small fraternity of gyms in Illinois, Indiana and Michigan and to one man, whose late night vision would change the basketball landscape for decades to come. Architect Ralph E. Legeman, of Evansville, IN, launched a career in architecture in 1922, designing general buildings but his legacy would be cemented nearly 25 years later with a simple solution to a large problem. In 1946, he began to be approached by school officials asking him to build them a gymnasium that could hold large capacity crowds, but at a low construction cost, since the cost of labor and materials had increased tremendously in recent years. With this problem on his mind, Legeman had troubles sleeping. One night with numbers, facts, and figures running through his head, he got out of his bed and went to his desk to do some sketches. It was that night that his vision of a unique design would become the answer to the school officials problem. 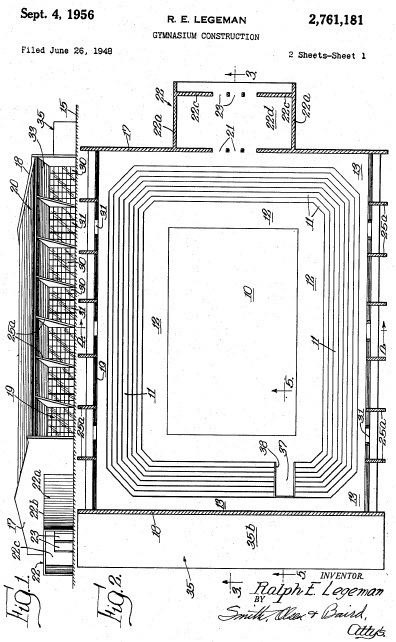 Shortly thereafter i﻿﻿﻿﻿﻿﻿﻿﻿﻿﻿﻿﻿﻿﻿n 1948, Legeman would file to patent (granted in 1956) his solution, which is to build underground. Legeman felt that his underground “bowl” design would be economical in construction, safe and convenient in use and attractive in appearance. In Legeman’s design, only the roof and upper walls stand above ground. The design also eliminated the need for elaborate structural supports for seating and roofing, which were expensive and constrained by limits in technology. Bleachers were concrete, built directly on the sloping dirt sides of the excavation and the top of the gym is supported by steel trusses. Spectators are seated up to where the trusses join the abutments. There are no steel rafters above the court, since the abutments support the weight of the structure. In addition, the underground design would allow the spectators to enter the seats from above and leave the same route, without interfering with persons on the playing floor and without obstructing the views of the persons in the seats. 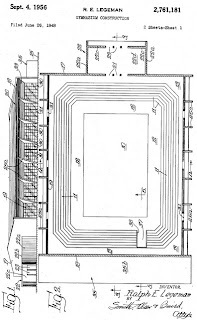 Also, Legeman thought exits could be installed behind the seats at ground level so that the spectators may leave at many access points and the seats may be quickly emptied at the end of a game. Legeman's design became so successful that he would eventually design 27 bowl gymnasiums for both high school and college and license 10 others during the late 1940’s, 50’s, and 60’s. There were three different gym sizes that a school could build: small, medium, and large. 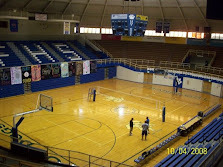 In 1949, Herrin, IL (Memorial Gym) became the first of 27 bowl gyms and Loogootee, IN would be the last, built in 1968. 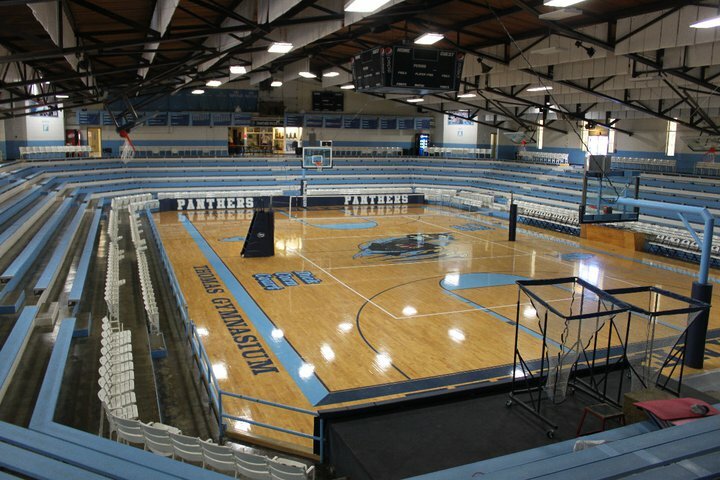 Many of Legeman's gyms are noteworthy, large and small, such as Duster Thomas gym in Pinckneyville, IL, the Jacksonville Bowl in Jacksonville, IL and the 12,500 seat multi-purpose arena, Roberts Municipal Stadium, in Evansville, IN. The most recognized would probably be Chrysler Fieldhouse in New Castle, IN. 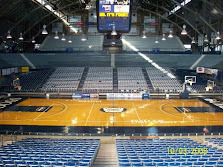 Chrysler is better known as “The largest high school basketball gymnasium in the world”, since its seating capacity is 9,325, but has held more than 10,000. For someone like myself who grew up in northeast Missouri, I too do not have to travel very far to see or play in a Legeman Gym. 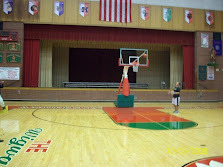 Twenty miles to the east, in Hamilton, IL, Legeman erected their high school gymnasium in 1956. Once home to the Hamilton Cardinals basketball teams, it is still in use today for a handful of the West Hancock Titan varsity basketball teams home games. 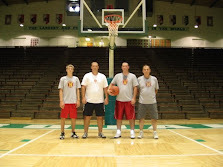 Having traveled to some of Illinois and Indiana’s most decorated basketball schools and gyms, I was excited to learn of the local connection between Hamilton’s gym and the many prominent gyms that Legeman built. I am never surprised anymore when I learn something new about the historical relevance of a gym, school or person located down the street or in the area where I grew up. 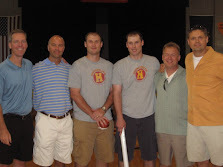 When recently talking to Hamilton High School Athletic Director, Dave Dion, he mentioned that he too is learning things about his gym after being at Hamilton for 35 years. Uncovering history can start by asking a simple question or by keeping your eyes and ears open to conversations. Basketball history is everywhere around us. You could even be sitting on it and you might not know it. I was recenly informed that Legeman was not the architect for the Hamilton High School gym. The architect was Curtis & Cowling of Kansas City, Mo. More than likely, it was licensed by Legeman. I am not sure of the entire provenance of the design, but the Kinmundy-Alma High School, now South Central in Illinois is one of these. The Kinmundy design is smaller than these. Rather than steel trusses there are wooden beam arches. We can get you a picture. Look for a Kinmundy Facebook page or the Kinmundy Historical Society.